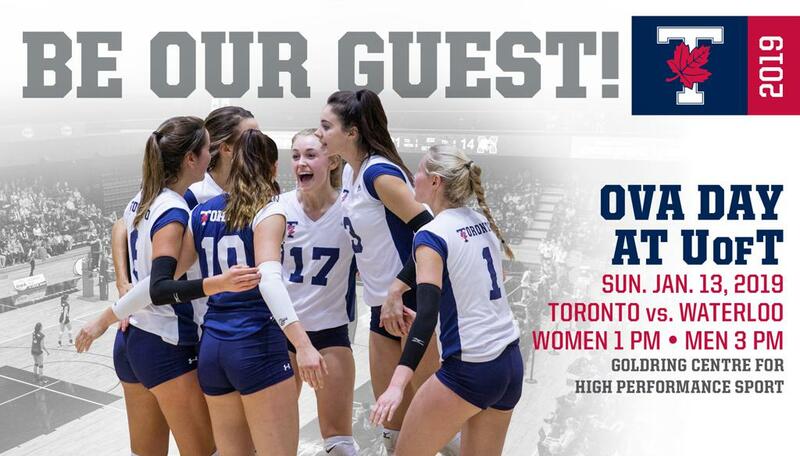 The Varsity Blues present the 5th Annual U of T OVA Day on Sunday, January 13th, 2019. The women's volleyball team take on the Waterloo Warriors at 1 p.m. followed by the men's match at 3 p.m.
OVA athletes, wear your team jersey to get a free pass for yourself and one guest. Women @ 1 p.m. & Men @ 3 p.m.
To register your athlete please click here.